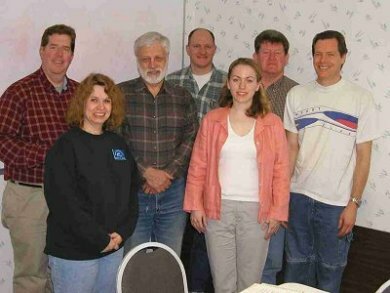 The MCRGO Election Committee held their first meeting on March 16th: left to right are Jim Simmons, Jeanne Kidle (Chair), Ed Mike, Brad Foster, Jessica Thayer, Dale Ernst, and Gary Skimin. Not present were committee members Brad Benzing and Mike Jackson. Resignations: Jim Simmons, Jeanne Kidle (Chair), and Ed Mike.